As the demand for a more trustworthy and transparent stablecoin increases due to the controversy surrounding Tether USDT, the world’s largest stablecoin (read our USDT token profile by clicking here), a number of companies have offered their services. One of the most eye-catching has been the Gemini Dollar (GUSD). Issued by the Gemini exchange, the stablecoin is attempting to displace market shares away from Tether. The Gemini Dollar stablecoin was released in September 2018. It is an ERC-20 token operating on Ethereum, and was released by the Gemini exchange. Fun fact: this exchange is owned by the Winklevoss twins. Like almost all stablecoins, the token is pegged 1:1 to the U.S. dollar. Gemini uses State Street bank to hold its USD assets. The Gemini Dollar also backs its initiative by agreeing to be regularly independently audited by BPM Accounting and Consulting. This is done to ensure the company is holding the same amount of U.S. dollars to its GUSD. The results of each audit are made publicly available. You can take a look at the reports here. The specifications of the token are laid out in its whitepaper. New Gemini Dollars are created when a user withdraws tokenized dollars from the exchange. They are then destroyed anytime a customer redeems or deposits them back into their account. The tokens hold the traits of an ERC-20 protocol adherent token, utilizing smart contracts with the ability to be stored on any ETH address and in any ERC-20 compatible wallet. Because of the nature of stablecoins and the risk involved, Gemini does have some centralized features. As described in the whitepaper, GUSD was implemented in a way that allowed the company to print an infinite number of tokens, freeze accounts, or to render its tokens non-transferable. This element of control isn’t singular to the GUSD, but is an element that is becoming increasingly required by the stablecoin model. While tokens offer stability in price, there are regulations that require some centralization to occur in order for stablecoins like Gemini to be able to operate and provide itself and its users a safety net. The Gemini Dollar can only be redeemed at Gemini, giving the company full control over circulating assets. Maintaining control is essential should Gemini need to protect from hacks, theft, or money laundering. Despite the label of “centralization” not being well-received in the crypto community, it is in fact necessary to maintain some level of control when it comes to stablecoins. The Gemini Dollar operates like most stablecoins, acting as a gateway between fiat and crypto. Users purchase GUSD with their national currency, which is then used to buy a cryptocurrency of their choice. The process to acquire an altcoin becomes completely straightforward and executable in one transaction. Next, storing and exchanging digital tokens that are pegged to fiat currencies is facilitated. 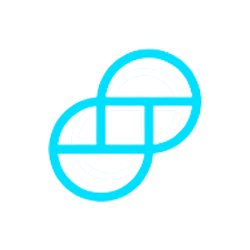 A practical example of how the Gemini Dollar is used in the real world is its integration by Forra, an e-commerce marketplace where goods are exchanged for crypto. Like most e-commerce platforms, Forra utilizes escrow in order to safely serve its users. Due to the volatility of crypto, sellers may be taking on large risks when selling their items on Forra. Furthermore, it often takes 3-5 business days for escrow funds to be released, hence increasing the risk undertaken by sellers. By integrating GUSD, Forra is offering a financial safety net for its users. In September 2018, HitBTC announced it would integrate the Gemini Dollar on its exchange. Customers are now able to trade GUSD against the exchange’s main currencies: Bitcoin, Ethereum, Tether, and EOS. This announcement was made the same month that the Gemini Dollar was approved by the New York Department of Financial Services (NYDFS). In January 2019, Wanchain announced it had integrated GUSD as its next ERC-20 integration on its mainnet. Having as a mission to “build a bridge to the future of money”, this is an excellent move by Gemini as Wanchain 3.0 allows for cross-chain transactions between Bitcoin, Ethereum, and any ERC-20 token. With the increasing of new number of players entering the frame, it’s hard to say if the Gemini Dollar will be able to establish itself as the go-to stablecoin. However, because their team has put in effort and thought into its development before releasing it, it does make a strong claim for its implementation. If it is proven to be more transparent than Tether (which should not be too difficult a challenge), it will definitely be more widely adopted and gain more acceptance from the crypto community. Displacing Tether as the top stablecoin will be difficult, but providing some much needed competition will make the stablecoin market in 2019 an interesting one. Interested in getting your own token profile? MLG Blockchain offers full independent 3rd party blockchain audits and token profiles free of charge. With the objective of creating real opinion pieces on the legitimate networks that are out there, MLG Blockchain vows to create objective and unpaid token profiles.